Dr. Albert Paugh is flunking retirement. After selling his Vashon Island veterinary practice, he soon finds himself not only lost without his work, but suddenly single. His efforts to carve out a new life, both as a bachelor and a retiree, only leave him feeling like his golden years are fast becoming years of gloom. His regrets pile up until he moves to Baker’s Beach where he gets to know a very special neighbor, learns that friends are the family you choose, and finds a new sense of purpose. The Reinvention of Albert Paugh is a sweet, funny love story about retirees that will delight readers (and dog lovers) of any age. The Reinvention of Albert Paugh is such a lovely read. I immediately liked Al, a recently retired veterinarian, and Bert, his loyal chocolate Lab. Al is at loose ends after retirement, and even more so when his wife suddenly and unexpectedly wants a divorce. This is the story of how Al - and Bert, of course - move on to a new place and a new life. The story is told with warmth, humor, and a disarmingly realistic tone. The descriptions of everything in this novel are so detailed and perfect. Al describes a trip to the beach: "The early morning showers had left rain-washed sunlight, a lemony light that filled this golden day of autumn. It was so beautiful and the air was so crisp, the kind of fall day that always made Al think of the first football game." Then there are wry, unexpected observations like: "Al experienced all animals as sentient beings and often felt Bert was almost human until he saw the delight Bert took in rolling in rotten dead stuff." Jean Davies Okimoto has a gift for distinct and creative characters. This includes some fine dialogue that really builds the story and moves the story along. I loved the way the story of Al and Bonnie unfolded. These are characters that I cared about, and enjoyed getting to know in this book. I did not know what to expect from a novel about a retiree living on Vashon Island, slowly building a new life for himself. I'm so glad I took a chance on this unique and distinctive novel. I recommend it highly to dog lovers, readers interested in life in the Pacific Northwest, and anyone who loves warm, compassionate fiction. Jean Davies Okimoto is an author and playwright whose books and short stories have been translated into Japanese, Italian, Chinese, German, Danish, Korean and Hebrew. 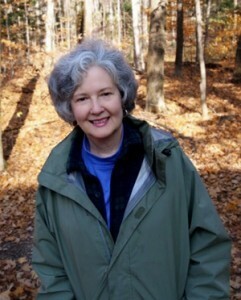 She is the recipient of numerous awards including Smithsonian Notable Book, the American LibraryAssociation Best Book for Young Adults, the Washington Governor’s Award and the International Reading Association Readers Choice Award. Her picture book, Blumpoe the Grumpoe Meets Arnold the Cat was adapted by Shelly Duvall for the HBO and Showtime television series “Bedtime Stories.” Her debut novel for adults The Love Ceiling was a season’s pick by the King County Library System, named to the ABA Indie Next Reading Group List and ebook Fiction Winner in the 2009 Indie Next Generation Awards. She has appeared on CNN, Oprah, and The Today Show. Jeanie, who is also a retired psychotherapist, began writing for adults when she and her husband Joe retired to Vashon Island in 2004 where they (and their dogs Bert and Willie) are visited by deer families and their six grandchildren. For more information on Ms. Okimoto, please visit her website at www.jeandaviesokimoto.com. You can find the book at Amazon. One lucky winner will win a copy of The Reinvention of Albert Paugh. 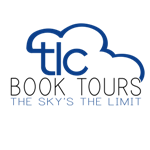 Contest open to readers in the US and Canada. I received this book from TLC Book Tours in exchange for an honest review. I would love to win and take this on my trip. It would be good to read. This looks like a really good book. I don't recall reading about a male retiree before and it sounds like a nice story line. looking forward to it. The Reinvention of Albert Paugh looks like such a lovely read. Some people, like Albert Paugh, retire and then regret it. Anyone that is an animal lover should enjoy the story set forth here and maybe even enjoy the human aspects of it as well. I love the line that says "friends are the family you choose". I believe 100%. 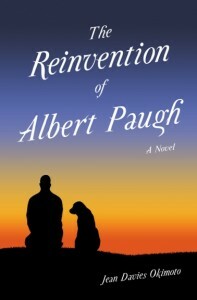 The Reinvention of Albert Paugh sounds like a delightful book, and I am putting it on my TBR list. I'm glad you enjoyed this sweet story. Thanks for being a part of the tour! This looks like a wonderful read :). I live right next to Vashon Island so this would be quite interesting. Thanks for the chance to read! I sure hope the good Doc finds happiness. My Dad wishes he had never retired. This sounds like an interesting book. The plot and characters in this book makes me want to read it. i also love a good dog story. This looks like an amazing book! A really good and enlighten storyline. This book from what you described to be beautifully written and I can't wait to read it. Albert's story sounds sad but hopeful. I don't read fiction very often but I'm thinking this might be my next fiction selection. I can't wait to find out what you're sharing at Literacy Musing Mondays this week! Dear Abby - I Am Six!